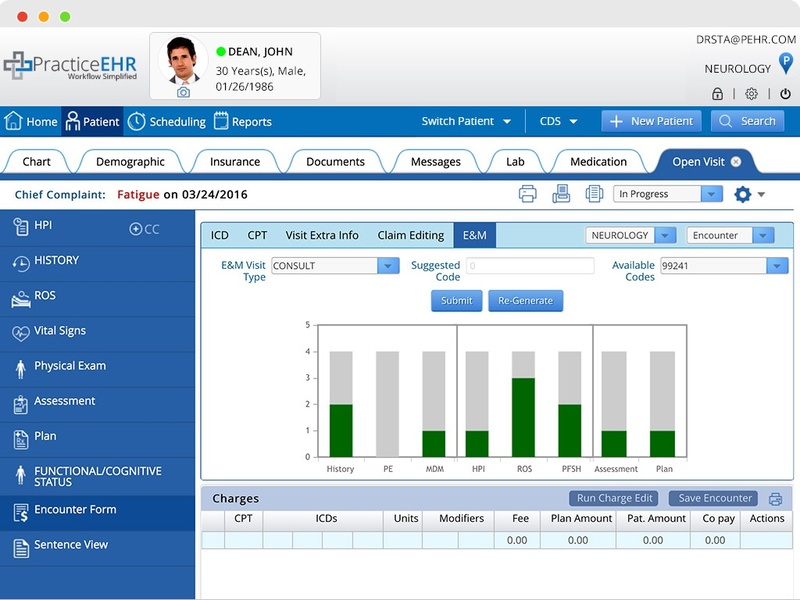 Practice EHR provides a built-in tool to assist you with determining the most suitable Evaluation and Management (E&M) CPT code for a given patient encounter. This maximizes your practice revenues by allowing you to charge highest allowable fee by the insurer for the healthcare that you provide to your patients. For maximum flexibility, the tool also allows you to manually over-write the system calculated values.